If you are looking for a value for money property close to several attractions in Portoroz then this is your answer. Featuring 2 apartments on the premises, the property is just 3KM away from the Secovlje Salina Nature Park. Within a 500m radius from the apartment, you can find grocery stores, cafes and restaurants. Both apartments have two bedrooms with a large double bed in each one. However, one apartment features a sofa bed in addition to the double beds in the bedroom. Guests can choose between the two apartments that accommodate 4 and 6 people respectively. The entire apartment is fully furnished with a country décor theme and features a well-equipped kitchen overlooking a dining area. If you are a fan of the outdoors, then feel free to bask on the lounge chairs in the garden or enjoy a scrumptious meal in the outdoor BBQ with your family. Other nearby attractions includes the Portoroz Thermal Spa at 5.6Km away, the Fiesa Lake at 6.8Km away and the thriving Tartini Square at just 7.5KM away from the property. 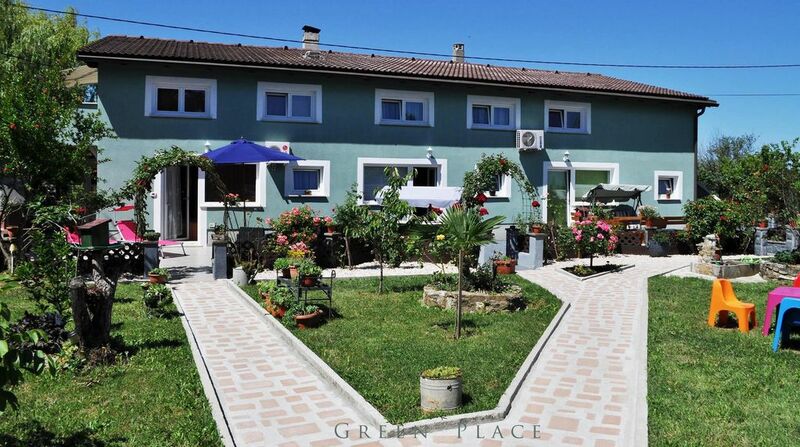 Guests love the comfort at Green Place Portoroz RC and how easily they can travel to neighbouring attractions.